New features include H.265 support, image stabilization to work with footage from 360° cameras and action cams plus over 200 new templates. 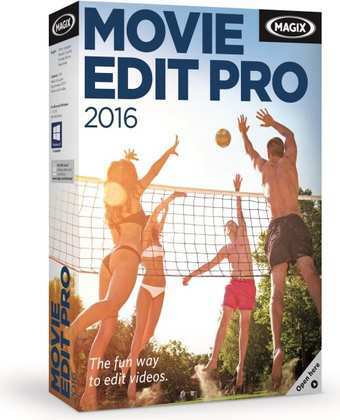 MAGIX is proud to announce the release of the latest version of its video editing solution, Movie Edit Pro 2016. This powerful program boasts a multitude of unique features, ranging from H.265 support and high-quality image stabilization to working with footage from 360° cameras and action cams, giving film hobbyists something to really get excited about. Among the many improvements, MAGIX has specifically focused on optimizing the way users work with Movie Edit Pro. This is why the program is the first consumer video editing solution to support the HEVC/H.265 compression standard with Intel codec technology. Hardware-accelerated decoding allows H.264 videos to be decoded by the graphics card, thus freeing up the processor and greatly improving performance while editing 4K/UHD material. 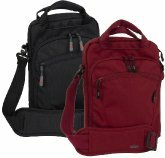 The Movie Edit Pro product family offers beginners and more advanced users a range of practical tools which allow videos to be edited down to the smallest detail. 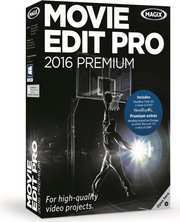 Movie Edit Pro 2016 and Movie Edit Pro 2016 Plus include the high-quality image stabilization technology in proDAD Mercalli V2. Users can remove unwanted movements, dampen CMOS sensor errors and smooth out unstable camera pans, allowing unusable footage to be restored and optimized. In addition to comprehensive image stabilization, users can choose from over 200 new, modern title templates to add titles and text that perfectly fit the style of their video. 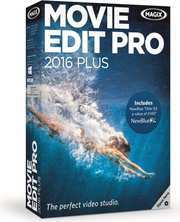 Movie Edit Pro 2016 Plus comes with a range of innovative and intuitive features, including 360° editing, comprehensive action cam support, beat-based video editing and much more. 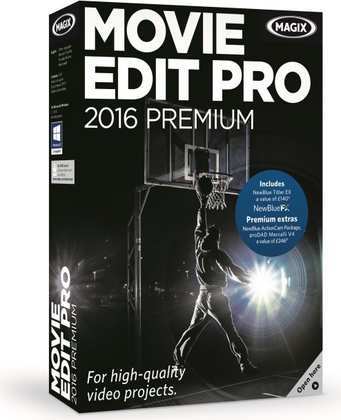 Movie Edit Pro 2016 Plus is the first video editing program to feature 360° video editing for panorama footage. The new 360° support allows users to import material from modern cameras, such as the RICOH Theta, select the sections they want to use and add them to their video. Movie Edit Pro 2016 Plus also allows users to edit action cam footage. From optimized import to fully-automatic editing and upload to all standard online platforms, the software is perfectly tuned for working with action cam videos. Twenty five new, high-quality and completely editable templates provide fast, professional results. Jump cuts, rewind and speed effects can be easily implemented to add more visual variation. Keeping music and picture in perfect sync is easy with the beat-based editing feature in Movie Edit Pro 2016 Plus. Users can set cut points in their own music via touchscreen or mouse and can even have these automatically set to match the beat of the music. Movie Edit Pro 2016 Premium combines all the new features of the Plus version with a unique selection of features from top effects packages. Movie Edit Pro 2016 Premium is the first consumer video editing program in which the full version of proDAD Mercalli V4 is integrated right into the program interface.proDAD Mercalli V4 lets users turn blurry, shaky footage into perfectly stable videos. Demanding action cam users can also take advantage of the NewBlue ActionCam Package, which offers a wide range of special effects for creating impressive action videos. Users can turn digital videos into old-looking movies with the Bleach Bypass effect and bring colour and picture to life with auto contrast, hue adjustment and RGB colour shift. A selection of presets for lens correction are also available, which can be implemented to make quick and easy changes to zoom, concavity, convexity and focus. Creative design with special effects, transitions, intros/outros, etc.